Simeon Lukov is a serial entrepreneur with 15+ years of experience in the IT field. Simeon is a co-founder of Browswave – a software product that helps retailers and vendors of consumer electronics track their price positioning relative to competitors across product categories and markets. Prior to Browswave, Simeon co-founded laptop.bg – one of the first ecommerce sites in Bulgaria that now holds 35% market share of online laptop sales. Previously, Simeon worked as a software engineer in various companies in Bulgaria. 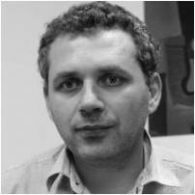 Simeon holds a Bachelor’s degree in Software Engineering and a Master’s degree in Mathematics and Informatics from Sofia University. Browswave’s innovative web crawler technology sifts through two million URLs to extract pricing and availability information on millions of products at a time. 75 clients in 20+ countries, including Samsung, LG, ASUS and Toshiba, currently use Browswave to make more informed and instantaneous pricing decisions. Determined to become the leading price monitoring tool for consumer goods in Europe’s US$2.2 billion retail analytics market, Browswave will continue to enhance its technology to accommodate yet more geographies and industries in the coming years.